Emilio Vargas s/n, 28001 Madrid, Spain. Hotel Confortel Atrium is a full and comfortable hotel in Madrid. 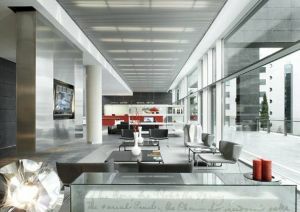 The Confortel Atrium is a newly built and modern hotel perfect to spend the holidays or the business trips in Madrid. 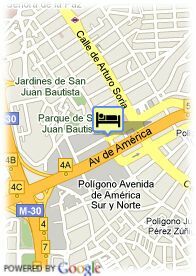 The hotel is located in a business and shopping area from the Eastern part of Madrid. It is a dynamic and developing area. The Confortel Atrium disposes of 195 completely equipped rooms, all of them are equipped with air conditioning, heating, TV, PC connection or mini bar, among others. For the business client, the Confortel Atrium puts at his/her disposal a full five lounges Business Center, totally adapted in order to hold reunions, conventions, congresses, events or seminaries. Moreover, the hotel is very well connected by public transport to Madrid center or the Barajas Airport, and for the breaks, enjoy the gastronomic offer of its restaurant. Paid covered parking at the hotel (15.00 €), Reservation obligated.